Jen Karner is a freelance tech writer and expert on VR and Android phones. Her work has appeared on AndroidCentral, iMore, WindowsCentral and others. 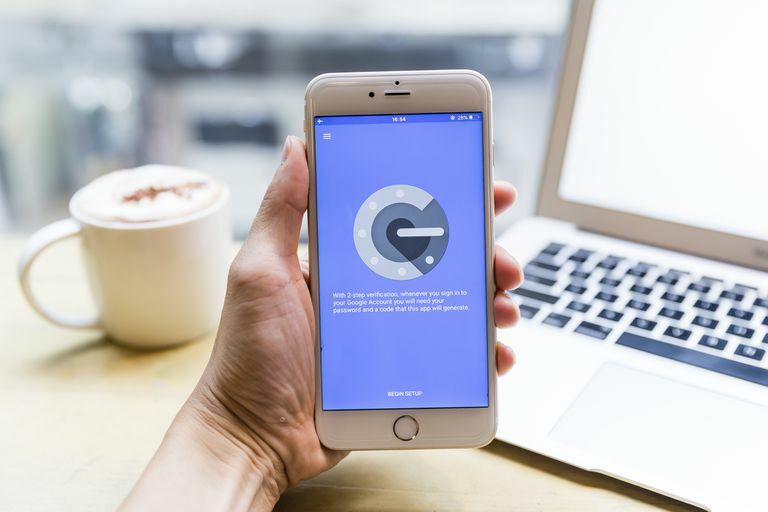 Google Authenticator is the go-to app for many people who take advantage of 2-factor authentication. 2-factor makes your account safer by adding another layer of security when logging into your accounts online, in order to better protect you from hackers or data theft. However when you set up Google Authenticator it is attached to the phone you set it up on. When you log in to an account with 2-factor authentication you are prompted to input a code from your phone. So when you move to a new phone, you also need to move the Authenticator app. This is a fairly easy process, whether you are using an Android phone or an iPhone. Just remember that Google Authenticator links up specifically to a Google account. This means if you have an Apple device you'll still need a Google account in order to set up 2-factor authentication. Install Google Authenticator on your new phone, and sign in to the app using your Google account. You can find Google Authenticator for Android in the Playstore and Google Authenticator for iOS in the App Store. Open the 2-factor authentication page on a computer browser. Click Get Started in the blue box at the bottom of the screen, and then log in to your Google account. Scroll down until you see Authenticator app. Click change phone. Click either Android or iPhone to choose what type of phone you have. This will display a QR code on your computer screen. Open the Authenticator app on your phone and tap begin setup. On your computer click Next. Enter the code displayed within the Authenticator app into your computer. Moving Google Authenticator from your old phone to a new one is a fairly cut and dry process for your Google Account. However if you use Authenticator to log in to specific websites, you'll need to go to those accounts and repeat the process. This may differ depending on the particular website. In some cases you may need to turn off 2-Factor authentication on these accounts, and then set it back up from scratch. You'll be able to see every account that has been switched to your new phone by looking at the app. This will let you know which accounts have switched over and which need to be manually added to your new phone.